Nothing says spring like strawberries! When I received Sciabica’s Mission Variety Spring Harvest Olive Oil, I thought that it would go really well with some of the strawberries that my family picked one sunny Saturday in April. This oil’s clean flavor works wonderfully in baking. 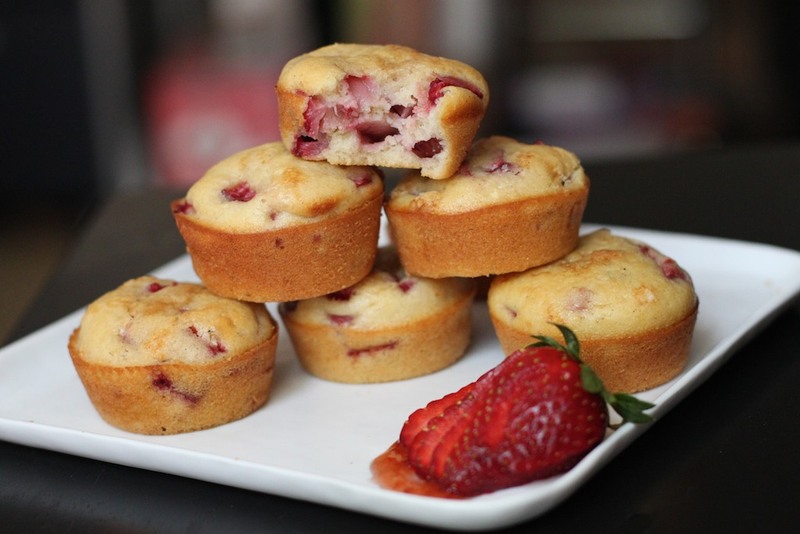 In these muffins, it works really well with the strawberries – it complements them without overwhelming. Preheat your oven to 350°F. In a medium bowl, mix together the flour, sugar, salt, and baking powder. In another bowl, whisk together the olive oil, milk, eggs, and vanilla. Combine the wet and dry ingredients and whisk until just barely moistened. Stir in the strawberries. Dollop the batter into a greased muffin tin. If you’re using coarse sugar, sprinkle it on now. Bake for about 30 minutes, or until a toothpick comes out clean.